i have seen over 21 concerts at jones beach and outside of m.s.g. this is one of my favorite places ever for concerts. 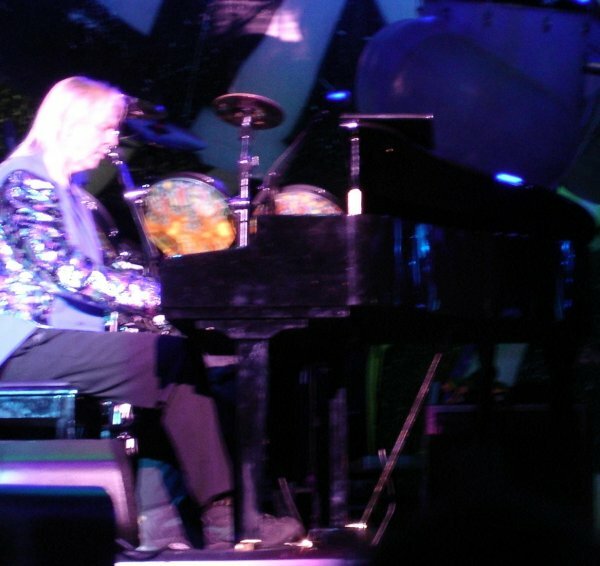 yes, there was too much wind that it delayed the start of the show and thus one song was scrapped. overall amazing set by yes. i have not seen them since this show i think it is about time YES comes back to play. 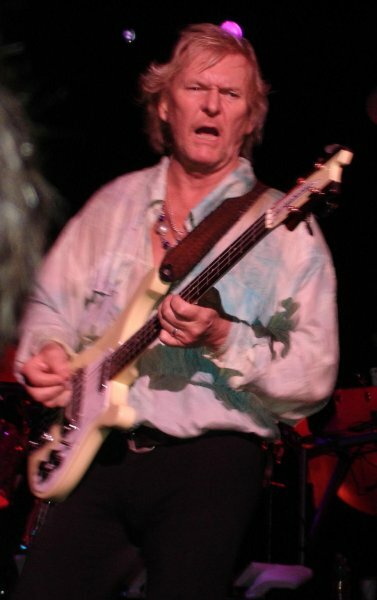 ALAS,ANOTHER YES SHOW UNDER MY BELT. 35 NOTCHES FOR THE 35TH ANNIVERSARY.JONES BEACH IS A GREAT PLACE TO SEE A SHOW. MY WIFE WANTED TO HEAR DONT KILL THE WHALE AND MUCH TO MY SURPRISE HER WISH WAS GRANTED.BACK IN 1991 AT THIS VENUE JON KEPT TALKING ABOUT WHALES DURING THE SHOW BUT NO SONG.THIA THIS STADIUM IS RIGHT ON THE WATER IT IS A GREAT PLACE TO SEE A SHOW.ANOTHER SURPRISE WAS AMERICA. THE SET LIST WAS DIFERENT THAN THE GARDEN SHOW IN MAY.THE ONLY THING I REGRET IS AS YES GETS OLDER THE SONGS SEEM TO MELLOW DOWN ANYONE WHO HAS SEEN SHOWS FROM THE SEVENTIES WOULD AGREE.THE JAMING IN ALL GOOD PEOPLE IS VERY LIGHT NOT THE CRAZY FAST JAM OF YESTERYEAR.ALSO CLOSE IS MUCH MORE SUBDUED.ALAS IT WAS A WONDERFUL SHOW ANYWAY. SWEET DREAMS TILL THE NEXT TOUR!!! JON SAID HE REMEMBERED THE FIRST TIME THEY PLAYED CLOSE TO THE EDGE. I WISH THEY COULD PLAY IT LIKE THE FIRST TIME THEY PLAYED IT. THESE ARE DRESSED DOWN VERSIONS OF WHAT USE TO BE (over) THE GREATEST EVER!!! The show was magical! 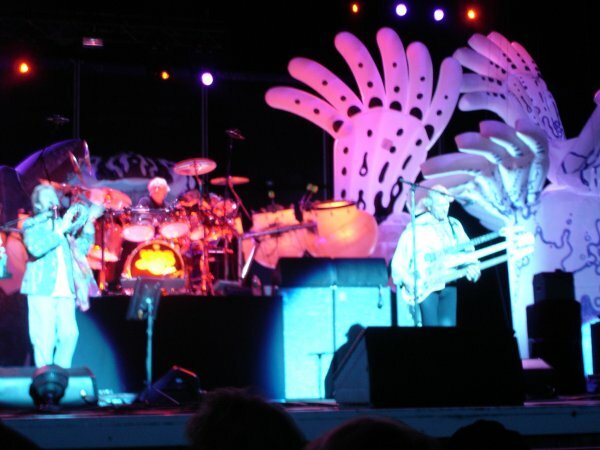 I've been a Yes fan for decades but I have only seen Yes live three times before, not counting "Yessongs". MSG in '74, Roosevelt Stadium '75 (more magic, even if muddy) and Forest Hills in '84 (all terrific) but this time was like being in a beautiful dream. 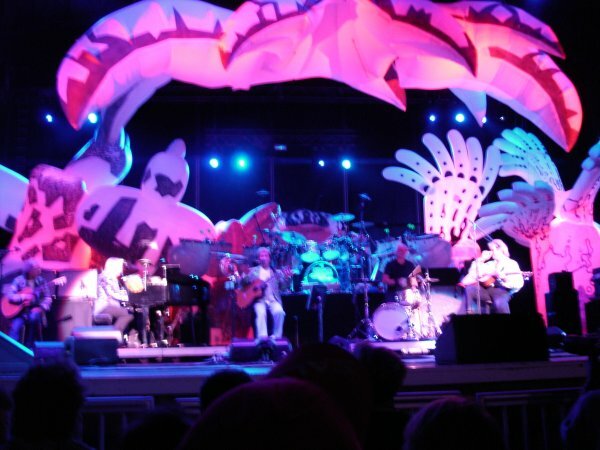 The set, while looking a bit odd in the fading daylight, was transformed into floating visions by the colors of the lighting display, the perfect backdrop for their music. 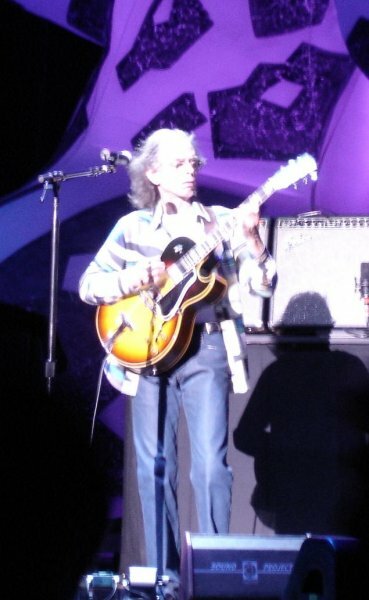 The sound was so clean, for an outside event, that a guitarist friend commented that Steve Howe's acoustic actually sounded "acoustic" even through the amplification and QuickTime video. The two best parts of this wonderful evening for me were "Awaken" (a time ethereal) and Jon Anderson's comments on love. I was a little uneasy as he began, thinking that this may be a 60's style flowery pep talk, but his simple and direct sincerity were overwhelming and by the time he finished, while patting his hand over his heart, I had a tear melting my eye. That's how it is with Yes music, direct connection with the heart and soul. I hope that all attending have this joy. 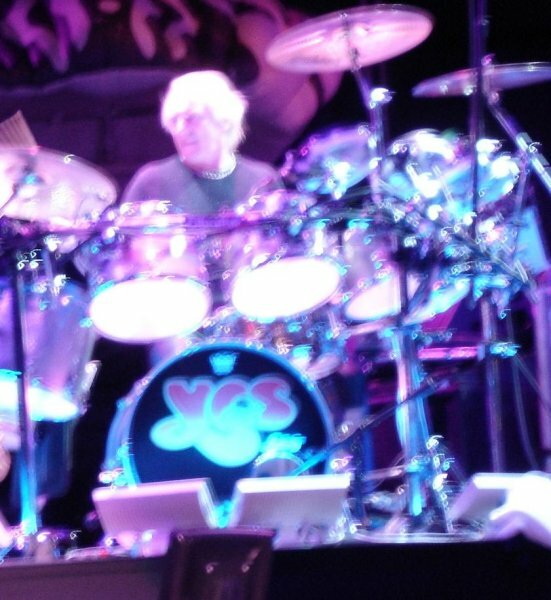 And finally seeing Yes with the love of my life was an added delight! My eyes darted around the stage at these young well dressed English lads (hippy style) playing their instruments as I had never seen (and I had been to alot of concerts back in the day)...Tight arrangements and very complex for the day...Squire on bass floored me with his trebely Rickenbaker sound thruogh Acoustic amps...Howe on his fat Gibson moving up and down the fret board like I've never seen...This little guy (Anderson) with this high voice of an angel...Some guy with long blonde hair with a virtual mountain of keyboards before him as he played them all...Most times 2 different ones at a time. This is a review from 1971. 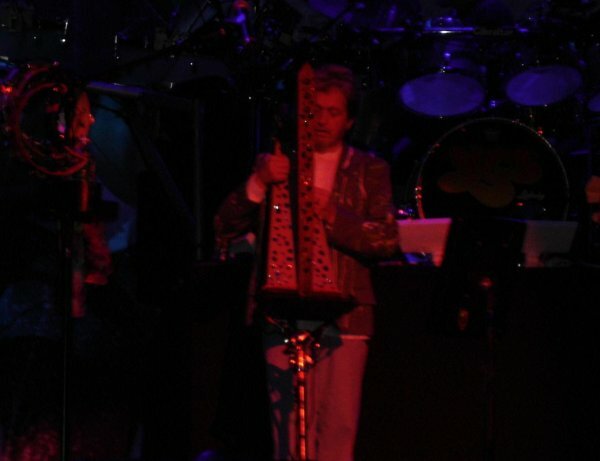 At this show in 2004 my eyes were darting at the exit door after I could barley hear firebird suite. MY HEARING IS FINE, BUT THEIR SOUND SYSTEM ISN'T. BOY HAVE THINGS CHANGED FOR THE WORSE!!!!!!!!!!!!!!!!!!!!!!!!!!!!!!!!! FROM THE GREATEST EVER TO A PILLAR OF SALT!!!!!!!!!!!!! This was my 3rd YES show. 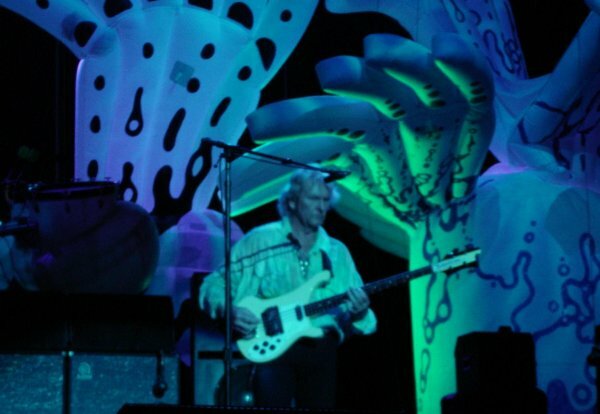 One of the reasons I went was because I realized, after seeing an ad in the paper, that the first time I had seen YES was 30 years ago, in 1974, during the Tales tour. I had also seen them in 1977. I have to say that I was very impressed. 30 years later, they still sounded great. 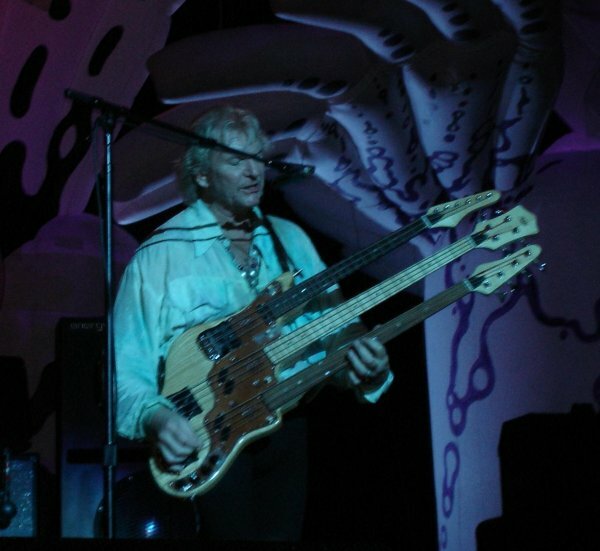 I loved listening to YES in the early and mid 70's and so many of their songs are etched in my brain practically note-for-note. Close to the Edge was amazing. I still have memories... snapshots of both the 1974 show and the 1977 show in my mind. The theatrics were cool back then... but that's not why I paid attention to them. I really connected with their sound. For me, their playing, 30 years later, is still impressive. 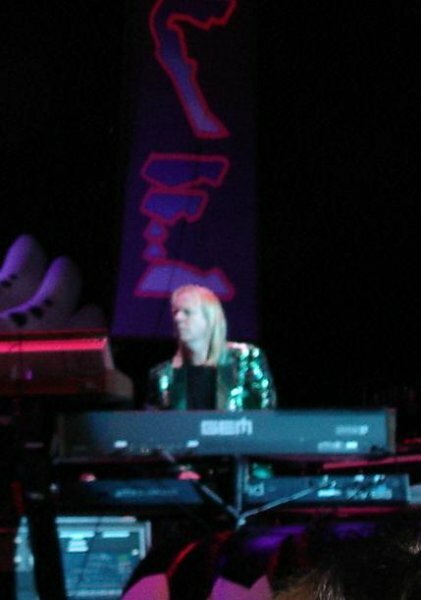 Rick Wakeman's "moog" breaks at one point seriously reminded me of Keith Emerson. I had never seen any similarities between them in the 70's. 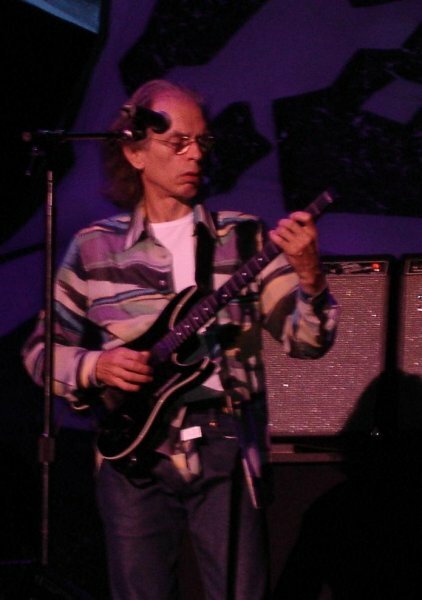 Steve Howe's guitar playing... Jon's singing... Chris' bass playing (no jumps)... Alan's drumming... I'm very happy I went. My friend and I drove 6 hours from Massachusetts on Saturday to see this show, I was taken aback by the flames during Awaken. Very windy that night, yet the moon put things right during the very end of CTTE. Alan wearing a kilt! The boys were in fine fashion on this night, jon energetically running on the stage, steve just kicking around up there and really letting it all go with his riffs. Very laid back, relaxed and full of energy. Jones Beach puts The Tweeter Center in Mansfield to shame. IT'S BEEN THE GREATEST THING IN MY LIFE TO SEE 25 SHOWS SINCE 1997 AND 45 SHOWS SINCE 1979. I'D SEE THEM 7 DAZE A WEEK IF THEY WERE HERE. REGARDLESS, ANYONE THAT TELLS ME THEY ARE STILL AS GOOD AS THE 1970'S, I'LL TAKE MY CD'S OF 4/18/79 & 5/5/79 SMASH IT OVER THEIR HEADS AND SAY WRONG AGAIN MAUDE. THIS WAS A VERY GOOD SHOW, BUT LIGHT YEARS BELOW THE SHOWS OF THE 1970'S. THE 2002 SHOW AT JONES BEACH HAD BETTER SOUND. IF I REMEMBER CORRECTLY, THEY USE TO HAVE 2 HUGE STACKS OF SPEAKERS ON EACH SIDE. THAT HAS BEEN REPLACED BY TV MONITORS. THE SPEAKERS ARE NOW HANGING OVER THE STAGE. WHAT AM I SUPPOSE TO SAY AFTER SEEING THEM 46 TIMES IN 21 PLACES SINCE 1979. 25 TIMES SINCE 1997. I KNOW THIS. AWAKEN IS THE GREATEST PIECE OF MUSIC EVER!!!!!!!!!!!!!!!!!!!!!!!! THERE IS NO DOUBT, NO DOUBT THAT THEY HAVE AMPLIFICATION PROBLEMS. WHY DID RUSH SOUND 5 TIMES LOUDER IN RADIO CITY THAN YES DID IN 2001 & 2002? THIS SHOW HAS TO BE THE LOWEST BUDGET PRODUCTIONS EVER FOR THEM. I HAVE MORE LIGHTS IN MY APARTMENT THAN THEY DO. TO MAKE UP FOR THE FACT THAT THEY DON'T COME CLOSE TO THE EDGE TO THE WAY THEY USE TO PLAY, WHY CAN'T THEY PUT ON A BETTER PRODUCTION. DRY ICE DURING CLOSE TO THE EDGE. DRY ICE AND LAZERS STARTING WITH MASTER OF IMAGES(AWAKEN). JUST THINK, THEY USE TO PLAY THE GREATEST EVER WITH THE BEST PRODUCTION EVER. THIS MUSIC DESERVES BETTER. IF THEY PLAYED GOING FOR THE ONE, DON'T KILL THE WHALE, YOUR MOVE/ ALL GOOD PEOPLE, THE WAY THEY USE TO I WOULDN'T BE HERE WRITING THIS. I'D BE IN A HYSTERICAL SHOCK!!!!!! AND SO WOULD THE REST OF THE CROWD WHO WAS MOSTLY SITTING ON THEIR HANDS!!! I WAS THE ONLY ONE AROUND ME THAT REACTED TO AWAKEN. WHAT HAPPENED TO THE PANDAMONIUM WE ONCE KNEW SO WELL, DID WE FORGET WHAT HAPPENED SURELY WE CAN TELL!!!!!!!!!!!!!!!!!!!!!!!!!!!!!!!!!!!!!!!!!!!!!!!! Whoops, forgot they played All Good People in between Whale and America. Amazing show! Steve was going nuts with his solos, really playing with the crowd on them. He even sang into the mic during his solo on America! The whole band seemed to be having a great time. Jon came on stage late into Long Distance, so the band had to make up for it by playing the intro an extra time. Gotta love Jon! Rick was brilliant as always. Chris seemed to be having fun and Alan was great as well. The highlights of the show were definitely Awaken and And You and I. Great sound during the whole show as well. The band got into performing more and more with each song. By the time they got to the acoustic set they were having a blast, and the audience was right there with them. They were so jazzed that "And You And I" totally benefitted from their energy. An amazing rendition. "Awaken" was simply stellar as well. My friend and I were completely mesmerized. With the changing setlists, I had no idea what to expect for the encore. I really did want to hear "Every Little Thing" since I didn't hear it at MSG in May, but they broke out "Starship Trooper" and it really was the perfect capper for the night. Thanks guys for a great show and a tour full of wonderful surprises.